The life of a trader can be lonely. The hours spent in front of your computer screens… suffering through trading decisions on your own… wondering if there’s anyone else out there going through the same things your are. But now it’s all going to change for you. That’s because MyCandlecharts.com gives you a friendly, exciting community of like-minded traders. Not only will you be able to forge relationships with traders around the globe inside MyCandlecharts.com, but you’ll also have front-row access to cutting-edge trading insights, bonus training, and step-by-step assistance to enhance your trading results. 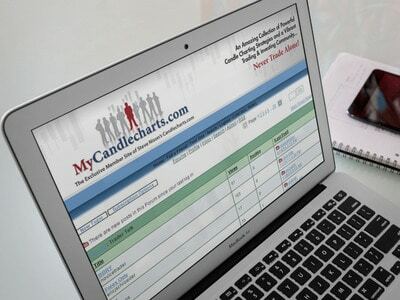 You’ll love that MyCandlecharts.com is far more than just an online chat group. Check out the amazing collection of tools, training, and lively interaction that will make this your favorite trading spot on the Internet. "I don't think there is another on going training program that can even touch yours!!" "You guys are creating the best educational trading site in the net...I love the content, chat room, webinars to analyze any market....you are awesome!"